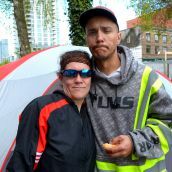 COAST SALISH TERRITORY - Homeless activists set up a new encampment in Downtown Vancouver today. 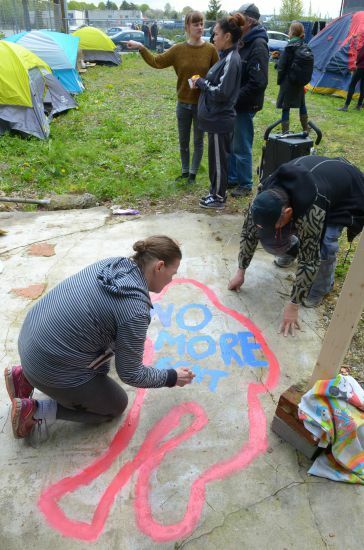 The camp is on the same site where a homeless camp was held exactly 10 years ago. 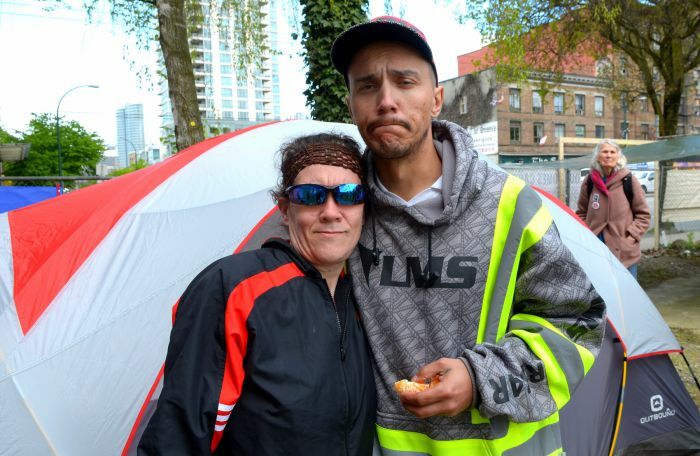 And despite City promises that homelessness would be over by now, it's worse than ever. 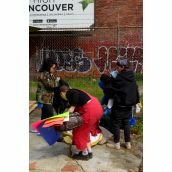 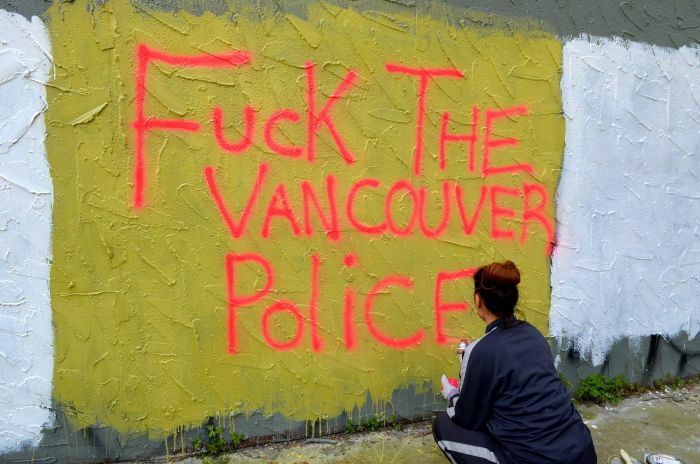 The camp is located on a vacant City of Vancouver lot by the American Hotel in the 900 block of Main Street. 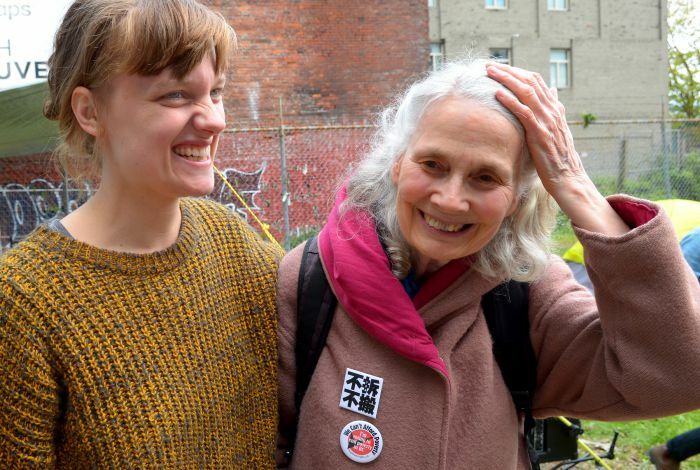 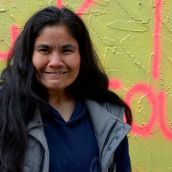 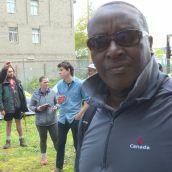 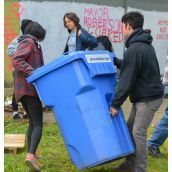 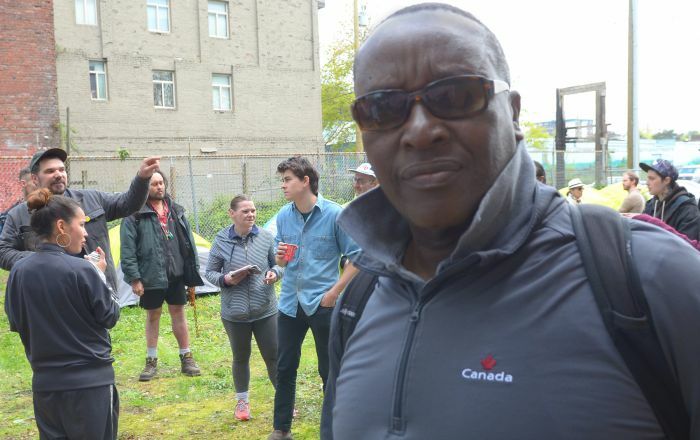 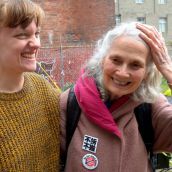 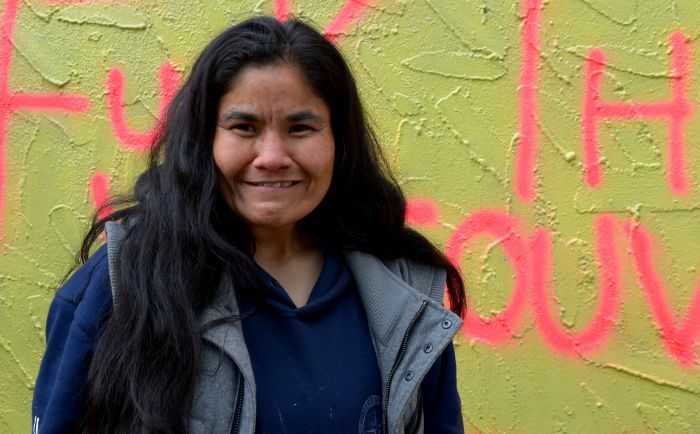 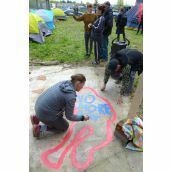 Camp supporter Maria Wallstam said the camp is a reaction to the growing number of homeless people in the city and the skyrocketing death toll on the streets. 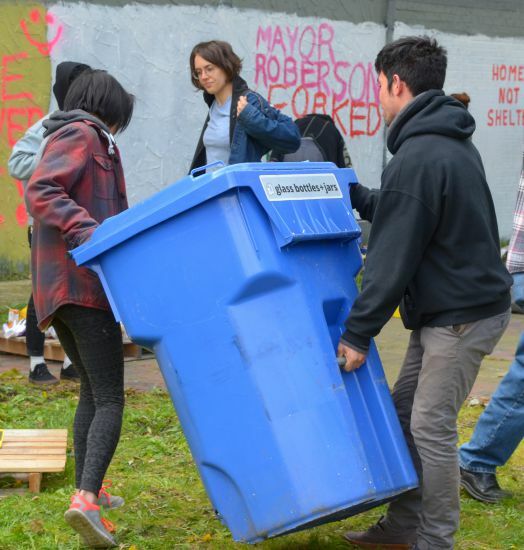 More than 3,600 people were noted in the most recent homelessness count. 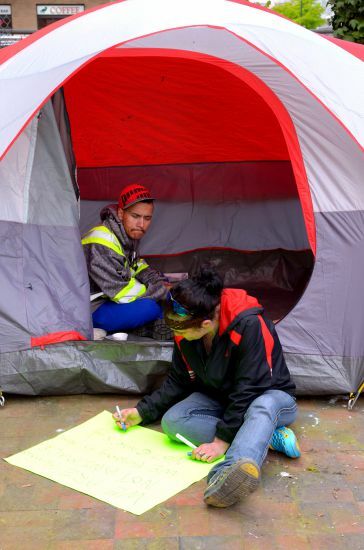 About a dozen tents have been set up with more people expected to join. 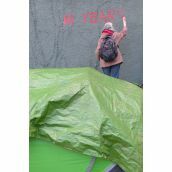 Police, Park Rangers and City bureaucrat Tobin Postma watched from across the street with their hands in their pockets as the camp set up. 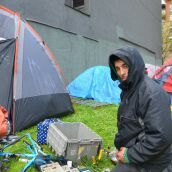 This is the “Ten Year Tent City” because10 years ago, during a visit from the then-UN Rapporteur on housing for the lead-up to the 2010 Olympics, a very similar group of homeless people and activists set up at tent city at this site to demand social housing. 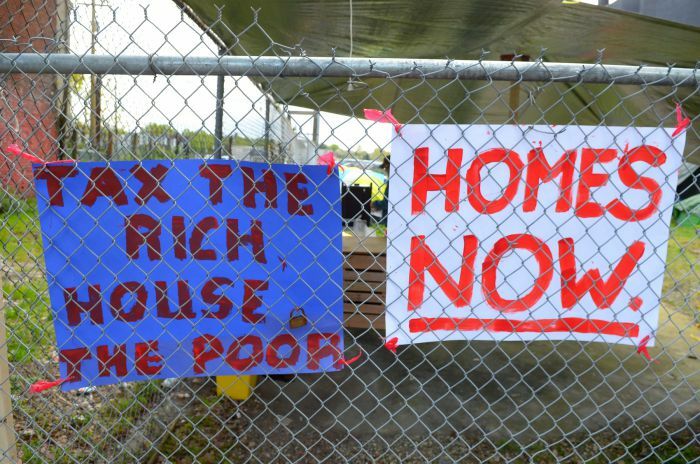 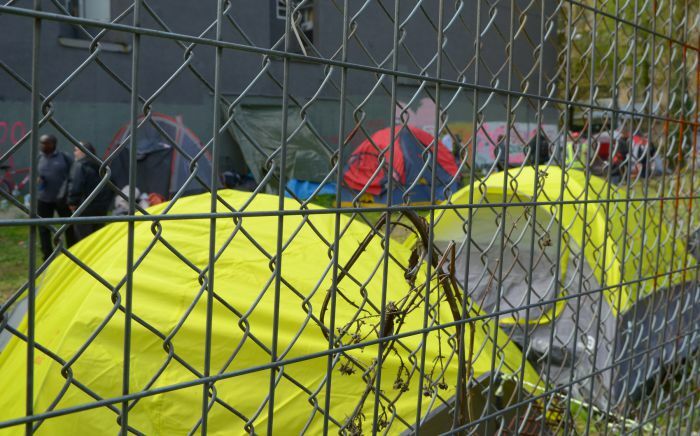 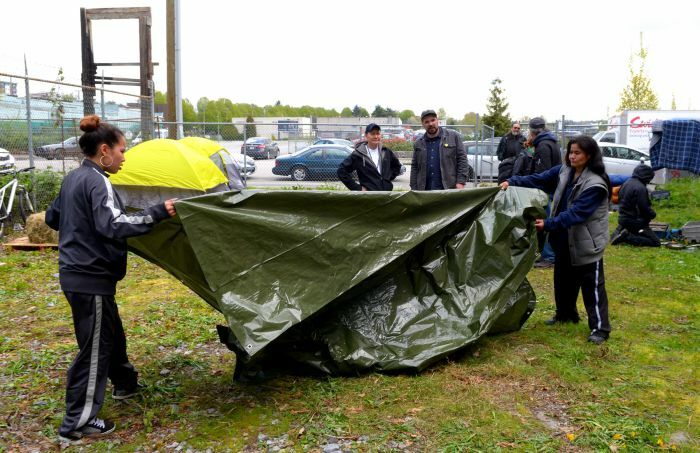 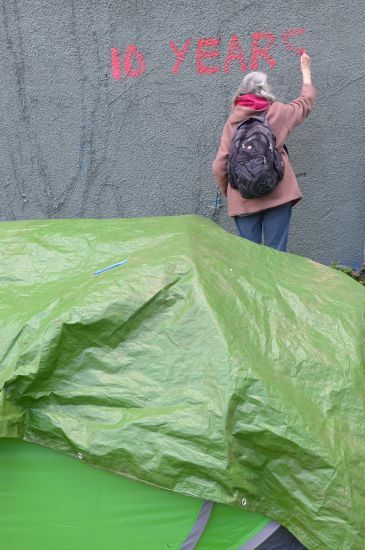 The central homeless leaders of that tent city have since passed away, victims of the violence and shortened life expectancies of homelessness in BC - but despite promises the lot is still empty, and homelessness in Vancouver is nearly two times what it was a decade ago. 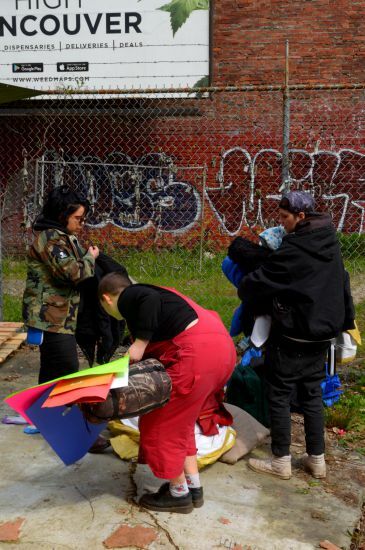 "The major demand of the Ten Year Tent City is “Homes Not Shelters.” Most of the homeless residents of the new tent city have been recently evicted from winter-only shelters that closed two weeks after the annual homeless count, sending hundreds of residents back to the streets. 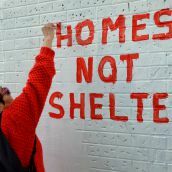 But, as residents will explain, these shelters do not end homelessness, they are a form of homelessness." 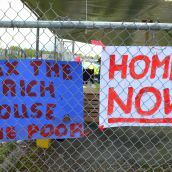 The tent city is the first action of the Alliance against Displacement's week of action against homelessness "as the new normal." 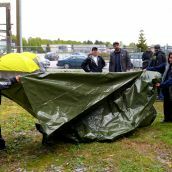 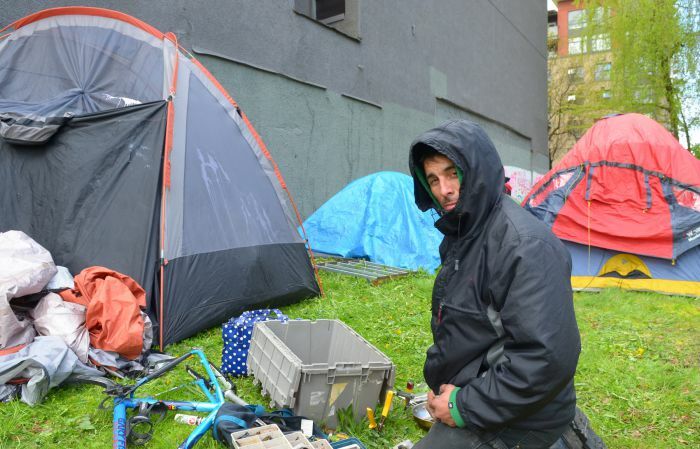 The group says the new tent city calls attention to the 2017 BC election "taking place during the worst housing crisis in BC's history..."
"Long gone are the days of (Vancouver Mayor) Gregor Robertson’s unrealized promises to end homelessness. 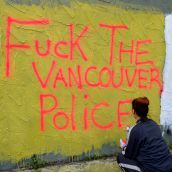 Now politicians are trying to bury the issue, making it a normal and accepted part of life in BC. 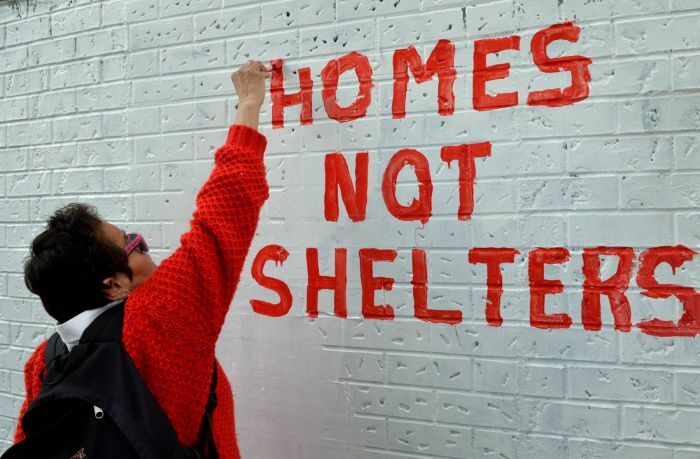 We refuse to accept homelessness as the new normal." 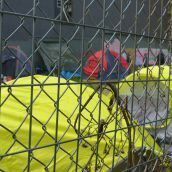 You can still make out the ribbons tied to a chainlink fence a decade ago for the first camp on the site that spell out "Homes Now" as they flutter in the wind.